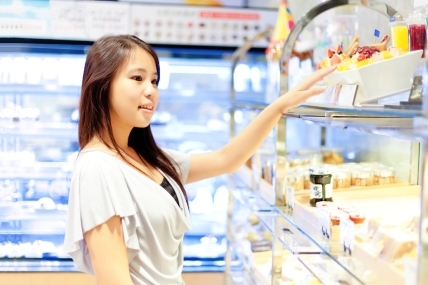 Understanding the differences in Chinese shoppers' behaviour. emerge as a market leader need to understand how these differences affect shopper behavior. In a follow-up to our first report published in June, 2012, What Chinese Shoppers Really Do but Will Never Tell You, we decided to explore shopper behavior in more depth across three dimensions: city tier, category nature and development stage, and shopper life stage. The joint study by Bain & Company and Kantar Worldpanel analyzed the behavior of 40,000 Chinese shoppers from 373 cities in 20 provinces and four major municipalities, providing a groundbreaking look at how much shoppers spend by region and by city in 26 important consumer products categories ranging from milk to shampoo. The comprehensive study covers all Chinese city tiers, categories in different development stages and shopper life stages (see Figure 1). As we explained in our first report, in most situations as Chinese shoppers buy more frequently in a category, they also tend to buy more brands in that category. We call this repertoire behavior - the tendency to choose different brands for the same occasion or need (repertoire being the set of brands purchased by a shopper within a given category). By comparison, shoppers exhibit loyalist behavior when they repeatedly buy one brand for a specific need or occasion. Chinese shoppers exhibit loyalist behavior in a few categories, including baby diapers and infant formula. By exploring the findings in more detail, we have been able to see how repertoire and loyalist behavior is affected by different city tiers, different category types in varying stages of development, and different shopper life stages – and the implications for both foreign and domestic brands.